The Qualtrics Research Suite is a user-friendly, feature-rich web-based survey tool which allows users to build, distribute, and analyse online surveys, collaborate in real-time, and export data in multiple formats. Users can create over 100 different question types, use interactive questions to increase response rates or use embedded video, audio clips or graphics in seconds. View the full listing of features here . 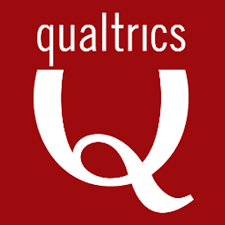 Qualtrics is available to all Maastricht University staff and current students for UM teaching, research and business purposes. Use of Qualtrics Research Suite should be in accordance with the Acceptable Use Policy (AUP) of the UM. Remove data from Qualtrics to secure storage, the moment research is completed. If you have any questions, or if you are running into any issues, please contact your local administrator. Before using Qualtrics for data-collection, please make sure that you are completely aware of all requirements stated by Dutch Law, Wet Bescherming Persoonsgegevens. This is especially important when collecting personal data and/or sensitive data. Read more about privacy on the website of Autoriteit Persoonsgegevens . UM has concluded a data processing agreement with Qualtrics about processing low and middle-risk class personal data. It is also possible to process special (high-risk) personal data, when additional steps have been taken. Special personal data are, for example, religion or belief, race, political preference, health, sexual orientation, membership of a trade union or a criminal record. A procedure is established that facilitates the processing of special personal data in current and new research with minimal risk. This procedure has been approved by the Data Protection Officer of our university. When you want to start a new survey without special personal data you can use Qualtrics and you do not need to take steps. Finished your survey? Download and then delete all data of the study immediately from Qualtrics. You can use Qualtrics but you need to approach your respondent via an anonymous link. Information how you can do this in Qualtrics. Also, questions and documents in your survey should not include any (combination of) data which could identify your participants. Finished your survey? Download and then delete all data of the study immediately from Qualtrics. Finished your survey? Download and then delete all data of the study immediately from Qualtrics. You need to close your survey as soon as possible if you are not anonymising or pseudonomising all special personal data. Report also your local division administrator that you or your students are currently using Qualtrics to collect ‘Special Personal Data’. Specify the name of your study and the expected end date of data collection. The moment your data collection is completed, download your data and delete the data from Qualtrics. Download and then delete all data of the study immediately from Qualtrics. For more information, contact your local division administrator; check the overview of UM local administrators in the section Help & Support below. Qualtrics is a worldwide leading survey tool, in terms of functionalities, security and privacy measures and is the only centrally supported survey tool at UM. Please don’t use other tools to create questionnaires, because they might be less safe and not compliant to the privacy laws (GDPR). Please don’t make an account on www.qualtrics.com ! When you have a specific question, first check the Qualtrics support site. Didn’t find the answer, then contact Qualtrics Support – support@qualtrics.com.